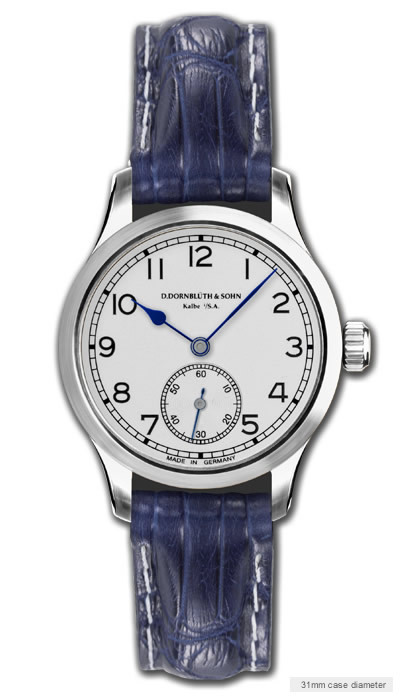 Dornblueth & Sohn’s 2016.1 collection presents a streamlined and elegant model for ladies who appreciate classical watches with hand-finished characteristics. 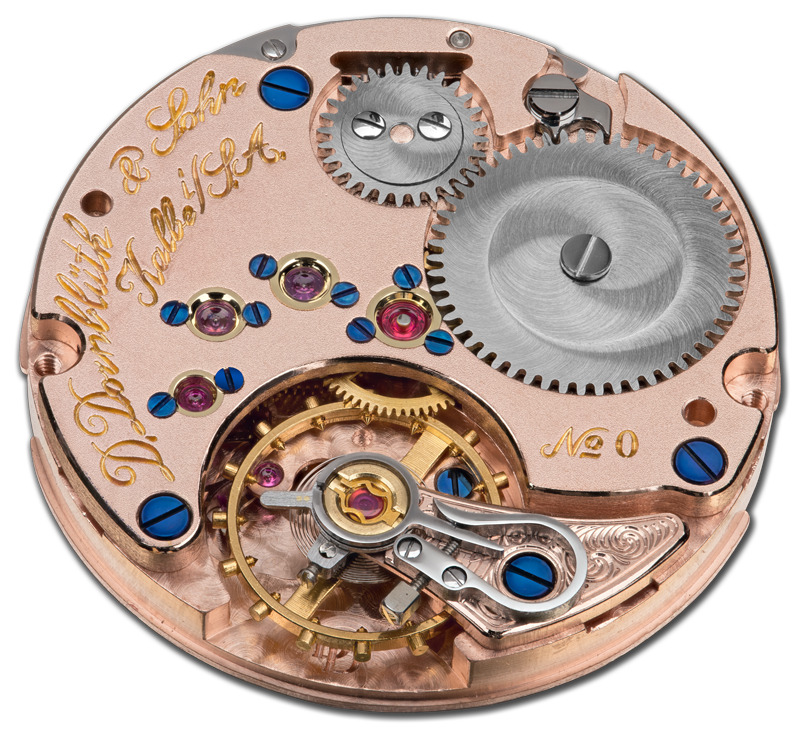 The smaller 31mm case size is balanced and well-proportioned thanks to its reduced height of only 8.6mm. The elegant matt silver dial provides excellent contrast against the black numerals, ensuring optimal legibility. 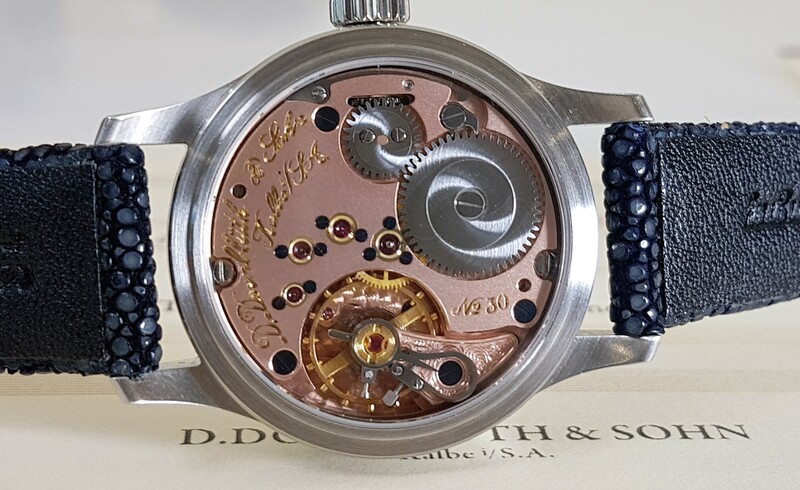 A sapphire crystal exhibition case back affords a wonderful view to the in-house manual calibre which is finished in highlights of rose and yellow gold and studded with flamed-blue screws and jewels. This piece is a real triumph of design and proportion from the house of Dornblueth & Sohn and makes a wonderful heirloom piece that will stand the text of time and weather ever-changing trends. Available in a variety of dial options including silver or light mother-of-pearl, with and without applied indices and in satinised steel or massive rose gold case the options for customisation are wide open. Add a special touch with a handmade leather band in a variety of finishes or styles to really make it your own. The 2016.1 (1) ST model is classical and understated, the traditional mix of light dial and dark indices is complemented by exquisite flame-blued hands for a touch of individuality.